Tributes are pouring in for a father of nine who was murdered in Northern Ireland over the weekend. Eddie Meenan, 52, was found dead in an alleyway in the Bogside area of Londonderry on Sunday morning. Mr. Meenan, who was also a grandfather, suffered serious injuries to his head and body. "Eddie was a lovely man and it was a pleasure to have known him," wrote one grieving friend. "Can't believe this happened. R.I.P. Eddie, you'll never be forgotten by all of us. This is heartbreaking," added another. A postmortem is due to be carried out to determine the exact cause of death. Detective Chief Inspector Eamonn Corrigan appealed to anyone with information connected to Mr. Meenan's death to come forward. "I am continuing to appeal for anyone who was in the Creggan Street or Little Diamond area of the city late last night (Saturday) or early this morning (Sunday) and who witnessed anything, or anyone who has any information that can assist with my investigation, to contact detectives on 101 quoting reference 244 of 25/11/18." 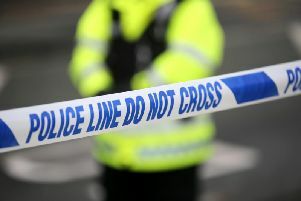 Three men aged 26, 31 and 51 and a woman aged 35 are being questioned on suspicion of murder and remain in police custody.